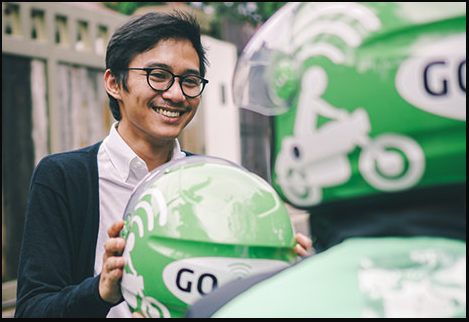 Gojek plans to expand to Southeast Asia with target four countries namely, Viet Nam, Singapore, Thailand, and the Philippines. Ceo and Co-founder Gojek Nadiem Makarim said, the reason for doing the expansion because there is some purpose. "Our goal is to collaborate with those countries and his Government, that the benefits of our technology can provide a vast impact for all walks of life good for consumers who want a fast and competitive service, as well as the driver's partner looking for extra income, "said Nadiem, Thursday (24/5). Nadiem rate, Gojek have proven positive impact for millions of people of Indonesia. For that she wants more and more people in more countries feeling the positive benefits of this corporate presence. Nadiem felt the best way to do an international expansion that is partnering with local talent, the team had the same vision, as well as understand how to best serve the needs of the country. He asserted Gojek have an understanding and a deep commitment to Indonesia so that it can be a market leader in the country. Read also, prepare 500 million U.S. dollars, Gojek expansion into Southeast Asia. President Gojek Andre Soelistyo said international expansion plans have been considering such a long time. "We want to make sure we can run the plan at the right time and in the position we're strong," explained Andre.